Mr Kipling is to mark the final week of the General Election campaign with a nod to the Tories' classic 1979 'Labour isn't working' campaign poster. 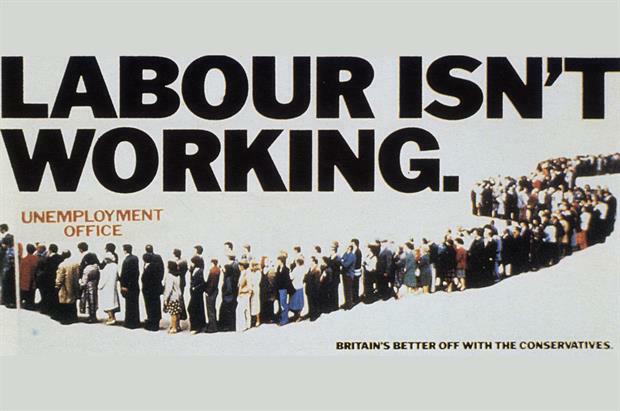 The original featured a line of people queueing up for the unemployment office to help the Conservatives slam their rivals’ economic record. In Mr Kipling’s world the enemy becomes biscuits and the tagline is changed from ‘Britain’s better off with the Conservatives’ to ‘Life is better with cake’. We’re slightly confused as to what the cakes are queueing up for, and wondering if the choice of French Fancies is a cryptic endorsement of the EU, but it’s still mouth-watering creative.